She said he died at his home in London "surrounded by those he loved having lived a life which was full of wonderful creativity and endeavour". American travel writer Paul Theroux, who had a bitter 15-year feud with Sir Vidia before reconciling, said "he will go down as one of the greatest writers of our time". Paying tribute to his friend, who he said had been in poor health, Theroux said: "He also never wrote falsely. "He was a scourge of anyone who used a cliché or an un-thought out sentence. He was very scrupulous about his writing, very severe, too." Salman Rushdie, who also disagreed repeatedly with Sir Vidia, said he feels "as sad as if I just lost a beloved older brother". Author Laila Lalami described him as a "wonderful stylist and a terrible curmudgeon", adding: "At his best, he could write with great tenderness and good humor [sic] about people whose lives were erased by colonial narratives." Writer Jeet Heer called him a "powerful novelist" who "at his best approached Conrad and even the shadow of Dickens" while blogger Patrice Yursik describedhim as a "titan of Caribbean literature". One fan said "no-one inspired me to read more than Naipaul" while another tweeted that his novel A House for Mr Biswas "stayed with me as a lasting memory for 30+ years". Sir Vidia, who as a child was read Shakespeare and Dickens by his father, was raised a Hindu and attended Queen's Royal College in Trinidad. 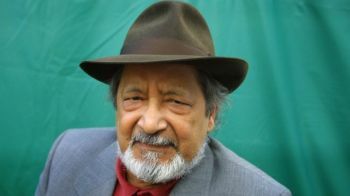 Sir Vidia, who was a broadcaster for the BBC's Caribbean service between 1957 and 1961, was one of the first winners of British literary award the Booker Prize, for In A Free State in 1971. Awarded the Nobel Prize in literature in 2001, the committee said Sir Vidia had "united perceptive narrative and incorruptible scrutiny in works that compel us to see the presence of suppressed histories". It added: "Naipaul is a modern philosopher. In a vigilant style, which has been deservedly admired he transforms rage into precision and allows events to speak with their own inherent irony." 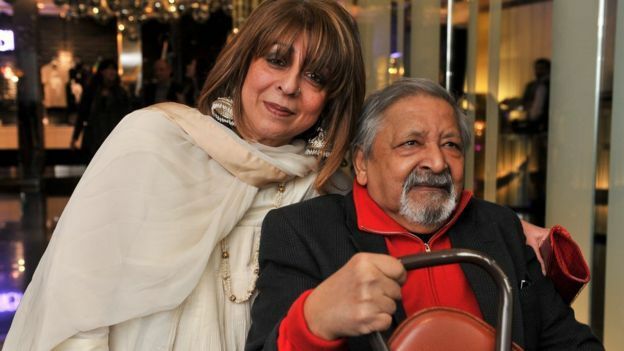 Sir Vidia was outspoken and is known for criticisms of Tony Blair - who he described as a "pirate" - as well as Charles Dickens and EM Forster.